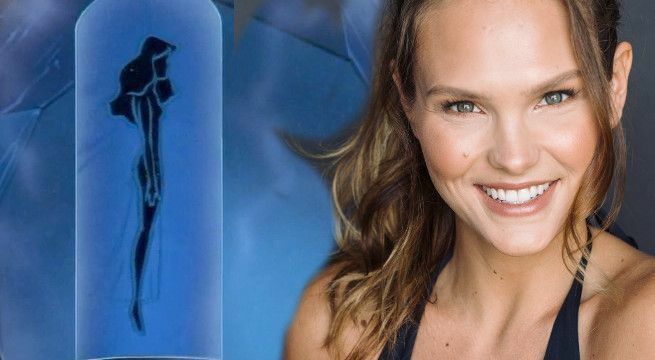 Batwoman won't be the only familiar face from Gotham City appearing in December's Arrowverse crossover: The CW has just cast Cassandra Jean Amell (yes, the wife of Arrow star Stephen) in the role of Nora Fries. If that name sounds familiar to you, it's because Nora is the wife of Victor Fries, also known as the Batman villain Mister Freeze. No details were provided as to whether Amell's version of the character will be alive and well or in cryostasis at the time of her introduction. The customary character description was not provided, either, leaving the nature of her role (and presumably her husband's) a mystery. Nora Fries was one of the characters created originally for the Batman: The Animated Series. In what is largely one of the most critically acclaimed episodes of the entire run, "Heart of Ice," she was used to give Mr. Freeze a more relatable and humanizing backstory. In the show, she was terminally ill and cryogenically frozen by her husband while he searched for a cure. Her tube was apparently shut down by the CEO of the project, which drove Fries to become Freeze, seeking revenge. In his 40-year history before that, he had no ties to humanity, and Nora and his backstory were soon added to the comics (and subsequent adaptations). A version of this backstory has been incorporated not only into the comics, but into both Batman & Robin, the 1997 movie, and Gotham, where the character of Nora was played by Kristen Hager. That makes this one of the rare occasions where the Arrowverse and Gotham have shared a character — although that might be a result of Gotham ending at the end of this season and a Batwoman show launching soon on the horizon. It seems plausible that Gotham-based characters could start making their way to the Arrowverse soon, since in terms of long-term investment that makes sense for the first time. Originally from Houston, Texas, Cassandra began her career in entertainment with America's Next Top Model. Other guest star credits include One Tree Hill and Hart of Dixie on The CW, in addition to Mad Men and multiple Anthony Zuiker projects. Currently she is partners in an Entertainment Company, Well Fed Artist Productions, with her husband.